It’s no accident that Lavazza is Italy’s favorite coffee. Four generations of the Lavazza family have dedicated over 120 years to finding the best blends of coffee beans from all over the world to provide you the authentic Italian experience. 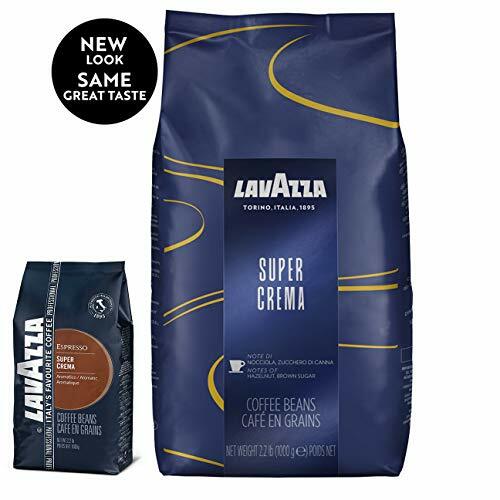 The Lavazza Super Crema Whole Bean Coffee Blend is no exception. A mix of Arabica varieties from Brazil, Colombia, and India and Robustas from Indonesia and Vietnam creates a mild and creamy medium espresso roast. You'll taste hints of honey, almonds, and dried fruit with every velvety sip. This blend is best used with Espresso machine. Enjoy a true taste of Italy that is uniquely Lavazza.